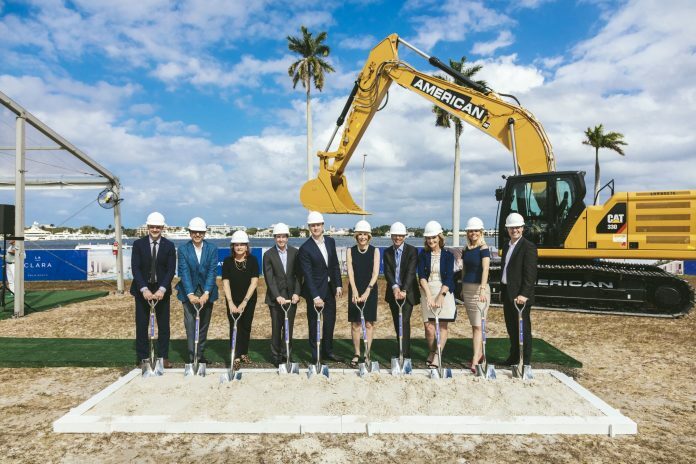 Canadian real estate developer Great Gulf says it has broken ground on a 83-unit, 25 story building in West Palm Beach. Municipal building permit reports indicate a foundation permit valued at $3 million was issued to John Moriarty & Associates on March 7 under the ownership of GGT Flagler Ltd. Partnership. The developer says in a news release that architect Siamak Hariri designed the structure at 1515 S. Flagler Dr., which is being marketed under the name LA CLARA.